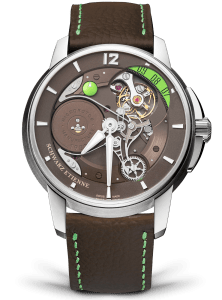 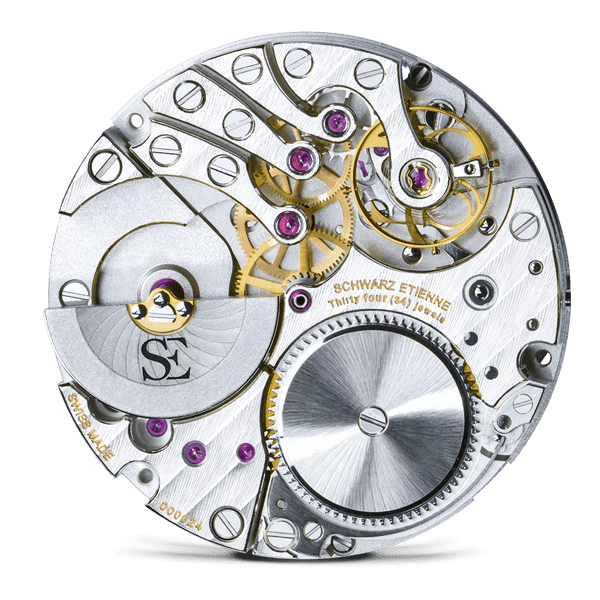 The ASE caliber (Automatic Schwarz Etienne) is a self-winding mechanical movement distinguished by a patented modular main plate designed to accommodate an additional barrel (MSE - manual version) or a module with a micro-rotor (ASE - automatic version). 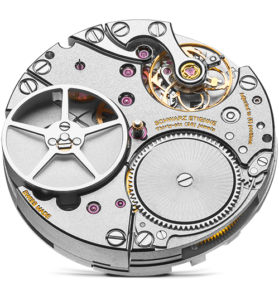 Compensating for its reduced diameter, the off-centre oscillating weight is thicker than that on a traditional movement. 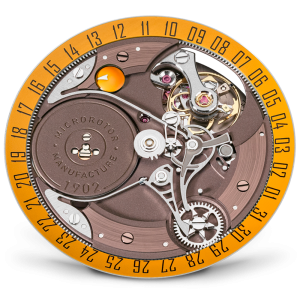 This ensures excellent winding efficiency. 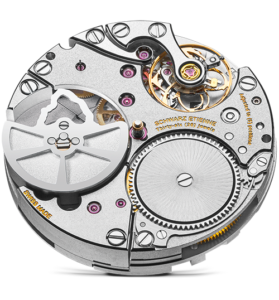 Its variable inertia balance guarantees precision and regularity of operation. 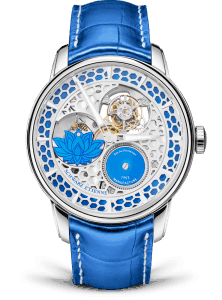 Its structure is characterized by a splendid construction formed of six bridges. 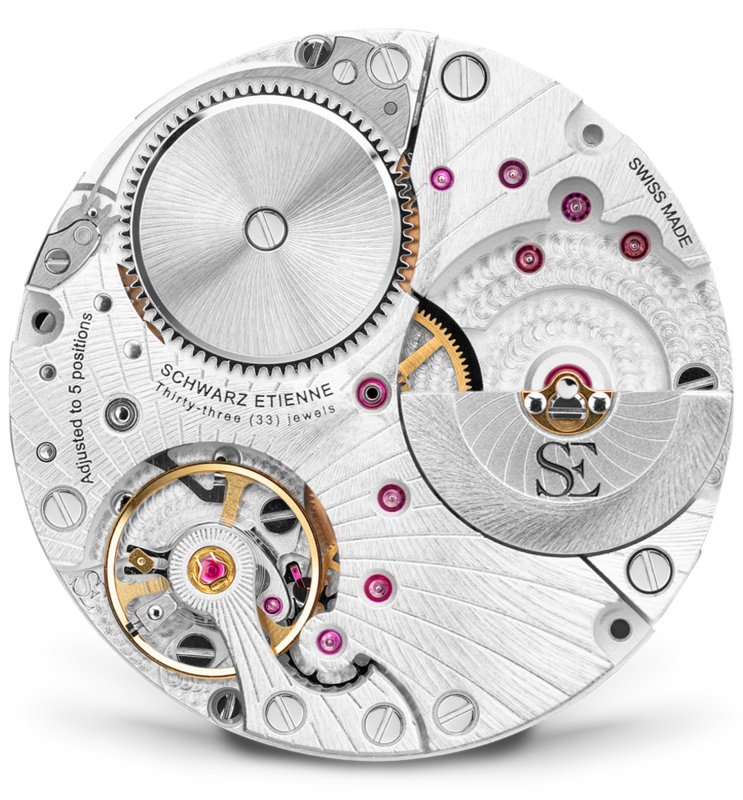 The properties of the ASE caliber make it an excellent base movement to accommodate various complications. 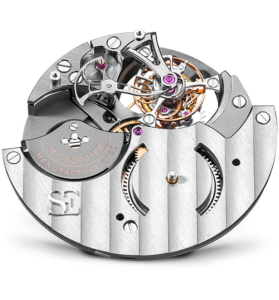 With the caliber ASE100.00, the space of one of the two barrels of the caliber MSE100.00 is used to house a micro-rotor. 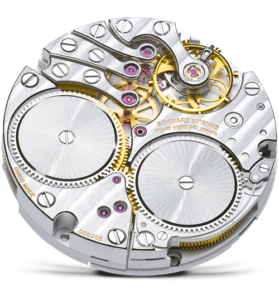 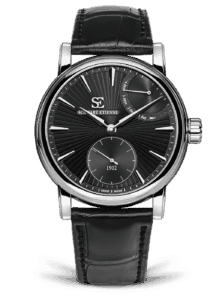 Integrated into the movement volume (without additional thickness), the latter ensures automatic winding. 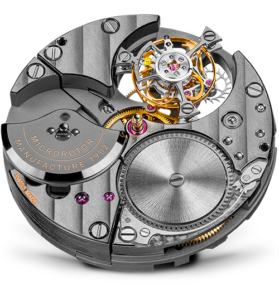 Unlike traditional oscillating weights, the micro-rotor also offers an impeded view on the mechanism. 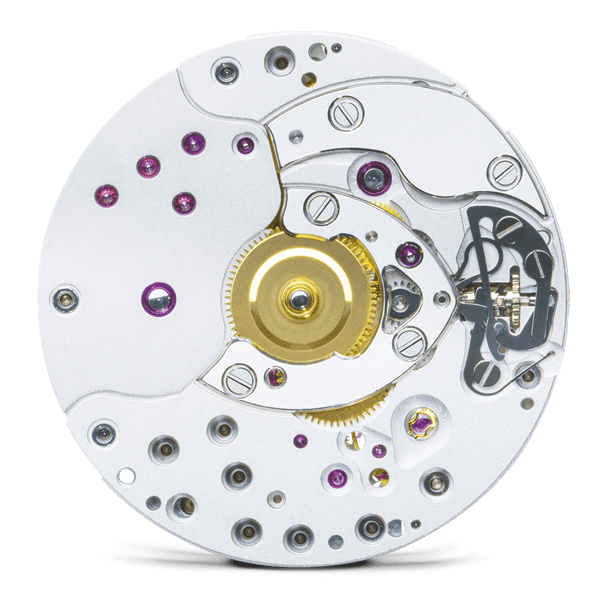 The ASE120.00 caliber is a variant of the micro-rotor ASE100.00 movement. 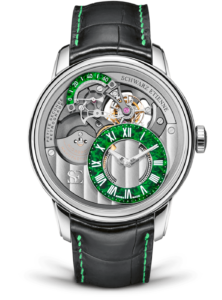 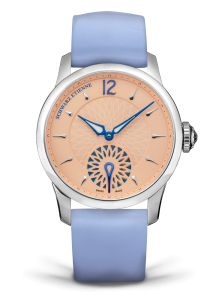 It incorporates the indication of a second time zone over 24 hours via a third central hand. 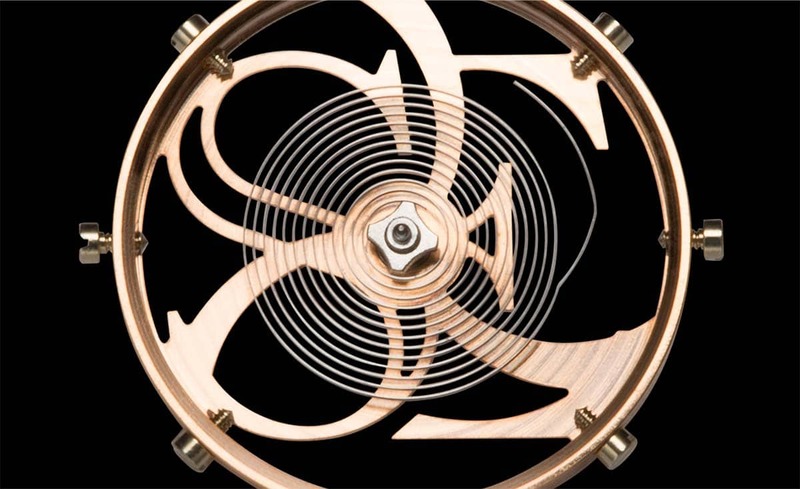 Snailing and sunray centred on the balance wheel.